Most new cars now come with Bluetooth integration. This great technology allows one device to communicate with another wirelessly. In a car, you can imagine all the ways this can make life easier. If someone calls, you can answer through your car stereo and hear their voice through the speakers. If you’re listening to a song on your mobile device, you can play it through the car stereo, as well. If your vehicle was not manufactured in the past few years, though, it may take some adjustment to your old audio system to make this function available. 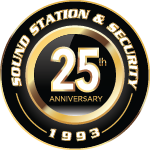 Sound Station and Security has performed this on countless vehicles. Installing a stereo with modern capabilities will easily and affordably allow you to join-in on the wireless Bluetooth revolution.